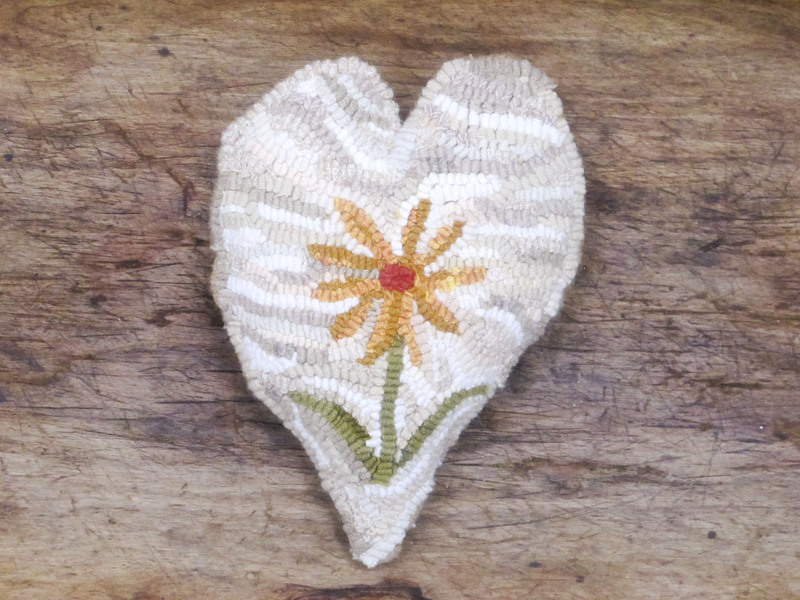 This beautiful daisy heart shaped sachet is hand hooked and filled with cotton and a bit of organic lavender for a light scent. 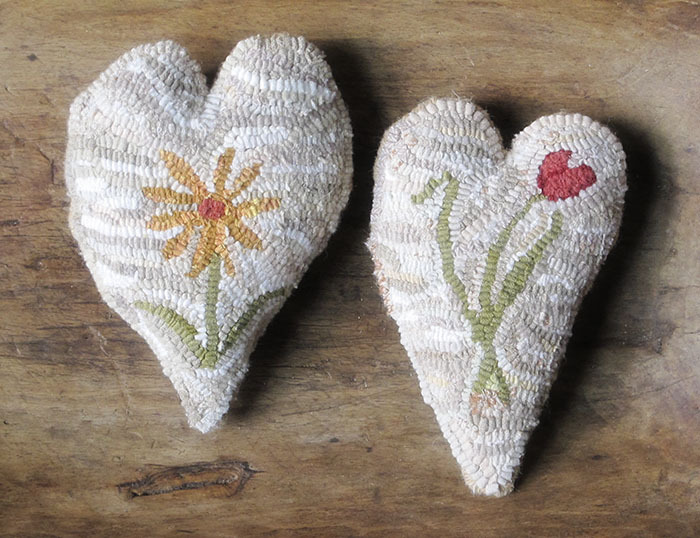 Perfect as a bowl filler, bedside table ornament, or powder room decoration, this little piece of folk art style hand work is sure to delight. Each one of these I make is unique and will vary slightly from the photos. The backing fabrics will vary, but be in keeping with the piece. Please enjoy the nature of one of a kind work. I make this piece to order for you, so be sure to allow time for that prior to shipping, too. 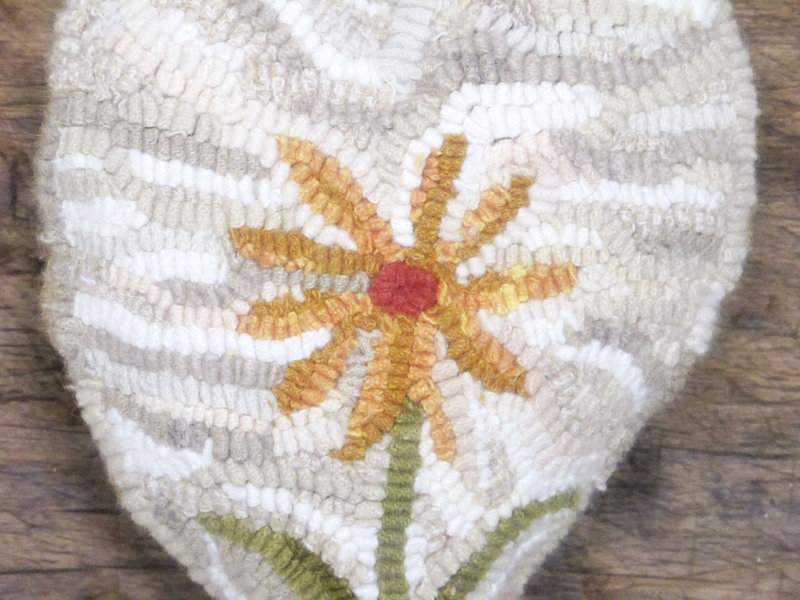 This listing is for the daisy heart only. The tulip heart is available separately.